Contact – for families with disabled children – was founded by parents. They seem to know what is what. Click icon to get to the point. What to do if you are at a loose end? This is basically a plug for a number of BBC podcasts that might pique your interest. Click icon to view. Temple Grandin says that there are three autistic thinking styles: visual thinkers, verbal specialists and pattern thinkers. See post. It links to a detailed article by another writer. Autism Toolbox, a resource for Scottish schools, offers a more science based analysis. See article. Autism Discussion Page is the title of this Facebook page. It contains brief articles with comments. Anyone registered with Facebook can add their own comments. This is a downloadable news paper for people with a learning disability. Scroll down to download latest issue. This article offers Eleven ways you can make your autistic child’s life easier. Temple Grandin is a lady with high-functioning Asperger’s who has made an academic career for herself. Click icon to browse her Frequently Asked Questions page. The Ask Temple link, in the top left corner, gives you a form for asking your own question. This Facebook page offers a handy starting point for several topics from the author Ellen Notbohm. The award-winning author is known for her popular books and columns on autism, published worldwide in more than twenty languages. See the Notes option on the Facebook page for key topics. She also has a website. The Blog and Articles menu options might be worth a look. We have a number of links from The Mighty on our website and Facebook page. This page picks out autism related material from their website. Click icon to browse. The Netmums site has quite a few pages under the Autism/Asperger’s heading. Clicking the icon to browse. A number of mothers post a description of their situation on this site – see: Preschool School age Older children / teenagers. The thinking person’s guide to autism is a forum intended to encourage visitors, To think, ask questions, question the media, and learn from each other. The people behind it say, Autism misinformation clouds and is perpetuated by the Internet. We want to make accurate information about autism causation and therapies visible, accessible, and centralized. Six types of coping skills. An array of graphics. Ideas about activities for special needs. After-school and weekend activities for children with disabilities can build self-esteem, skills, friendships and a sense of belonging. This will ring a few bells for parents of a child on the autistic spectrum. Things not to say to an autism mum . ‘Society has programmed us to think, “What kind of mother is she, taking care of herself before her child?” but that’s completely wrong.’ Here are 10 must dos for parents of children with special needs. 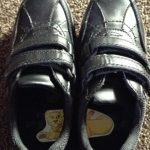 For all those new school starters or those like my son, who is obsessed with his shoes being on the wrong feet, try this. 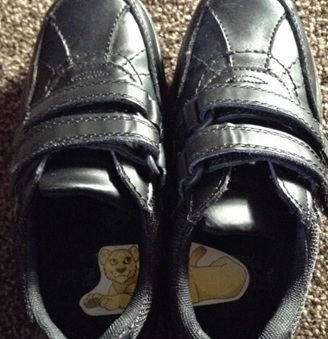 Cut a sticker of their choice in half and secure it into there shoes to help them identify which shoe goes on which foot. Netbuddy has merged with Scope now. 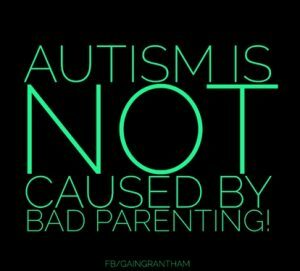 It has Autism blogs with real life stories from people with experience of issues around autism. Scroll down to get an idea what is there. You can post your own stories. They offer Support and Information divided into quite a few categories. They have Community champions make sure the community is a safe, supportive place to be. It also has an On-line community on which you can post questions and comments. Here are some tips on tackling fear . These can provide a handy way to improve emotional literacy and people skills. Soaps focus on emotional issues and lay it on with a trowel. For example, see Roy Cropper from Coronation Street. Children on the autistic spectrum can find the idea of moving house unsettling, but there are things could do that might help. Tell him obvious things, repeatedly, e.g. that he is moving too. Tell him what familiar things you are taking, e.g. items of furniture. Try to re-create his old bedroom from day one. This is not a good time for a revamp. Use the same bedding & PJs for continuity. If necessary leaving them unwashed would be even better. Get PC running in new home from day one. Buy that computer game he has always wanted and give him free access to the PC around the time of the move.